This cleanser incorporates a balance of bionutrients, antioxidants and mild resurfacing ingredients that thoroughly cleanse the surface and pores of the skin without stripping essential natural oils. 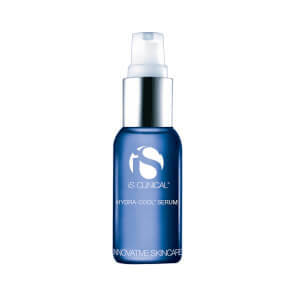 Gently resurfaces and removes dead skin cells. Can be used for shaving. Recommended for all skin types including sensitive. Moisten face and neck with water. Apply a small amount of Cleansing Complex to moistened hands. Rub hands together and massagecleanser over face and neck. Rinse thoroughly and pat dry. Water/Aqua/Eau, Disodium Laureth Sulfosuccinate, Cocamidopropyl Betaine, PEG-30 Clyceryl Cocoate, Glycerin, Propylene Glycol, Carboxymethylcellulose, Salix Alba (Willow) Bark Extract, Saccharum Officinarum (Sugar Cane) Extract, Camellia Oleifera Leaf Extract, Chamomilla Recutita (Matricaria) Flower Extract, Asiaticoside - Asiatic Acid - Madecassic Acid (Centella Asiatica), Ascorbyl Palmitate, Phosphilipids, Tocopherol Acetate, Retinyl Palmitate, DMDM Hydantion, Iodopropynl Butylcarbamate. This product is gentle yet it cleanses thoroughly. 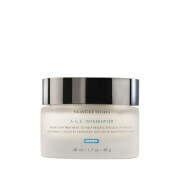 It helps the pores look smaller and it refines the skin. I love the IS Clinical line. 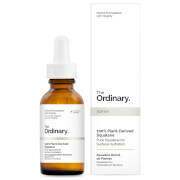 I use some of their serums and have been very happy. This Cleanser Is The Best!!! This cleanser can be used year 'round and on EVERY skin type. I have dry skin in the winter and oily skin in the summer, and this is the only cleanser I've ever used that deals with both and doesn't strip my skin leaving it begging for moisture! Since I've been using IS Clinical products, I get compliments about my skin all the time!!! My facialist recommended this product to me. They use it at the salon and she personally uses it. The smell is very subtle, which is good since I have allergies with strong scents. You only need a tiny drop and it covers and washes your whole face!! It will last a LONG time. It removes eye make-up and doesn't sting your eyes. It has a light peeling ingredient, but my skin doesn't feel tight and dry. This is just one of several products that make my face look glowing! Love it! No more acne. No more acne scars. I <3 this! I used to be an Obagi junkie. One problem. 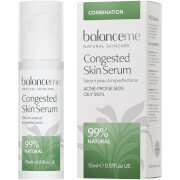 The only product which controlled my acne left my sensitive skin flakey and neon red. Boo urns.I tried this product on a whim. It doesn't stain my towels. it doesn't burn my eyes. I use it with a Clarisonic.I could have cried the next morning. 3 year old acne scars were already less red. After 2 weeks of use, my completion is even, skin has a lovely texture. No more flakes. 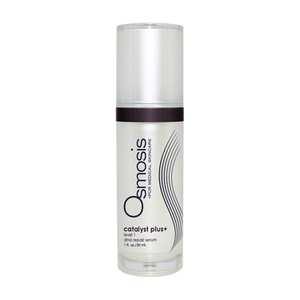 No more zits.There is a light fragrance and the texture is gel meets cream. I am using this in conjunction with Peter Thomas Roth's Oil free moistuizer and a zit spot treatment sold here (forgot name). Not that I use the spot treatment.I love this product! Been using this for years now at the recommendation of my esthetician. Its GREAT. Really does a great job and my skin looks and feels good.